With the making of the seven landscape catalogues, the first map of the landscapes of Catalonia is finally available. Representing a total of 134 landscapes, this map encompasses the wide diversity and wealth of the landscapes of Catalonia, some of the highest in the European continent. Each landscape (technically called a 'landscape unit') is characterised by a set of elements which make it unique compared to the others. These singular traits make each landscape different from the others, though not better or worse. The 134 landscapes were identified after carefully analysing numerous factors and their interaction. With the aim of making these landscapes more accessible to the population, we launched various public participation initiatives to determine the best names for these landscapes. Each landscape, as such, has been baptised with a name deeply rooted in the population's collective memory. All the landscapes are important because they constitute basic territorial spaces in which specific landscape policies can be applied depending on their characteristics. 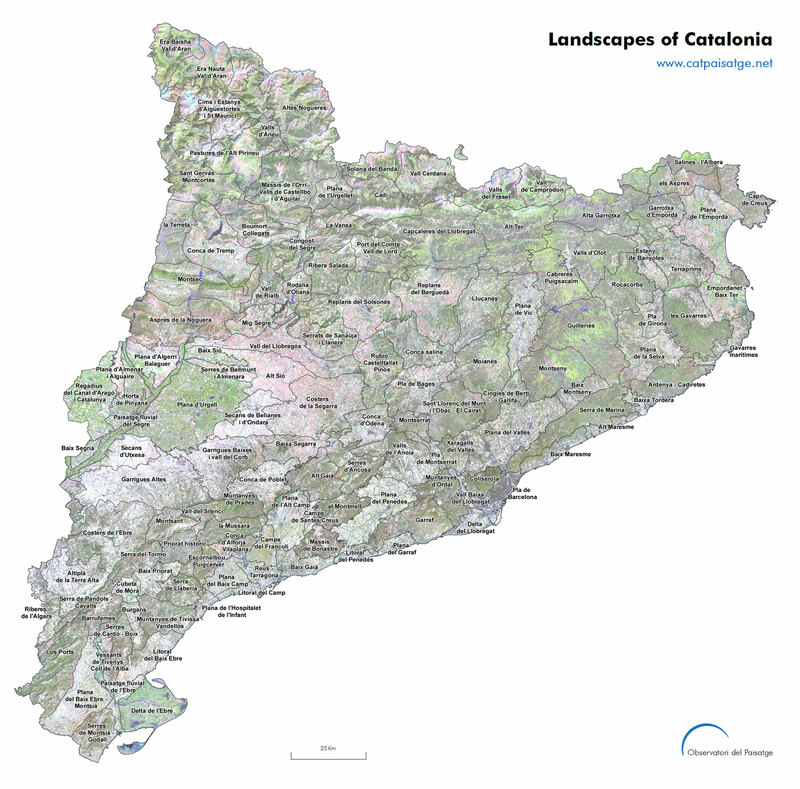 Furthermore, the map of the landscapes of Catalonia represents a very powerful educational tool to become aware of the landscapes of Catalonia, the threats they face and the importance of their natural, social, productive, symbolic and identity-based values.